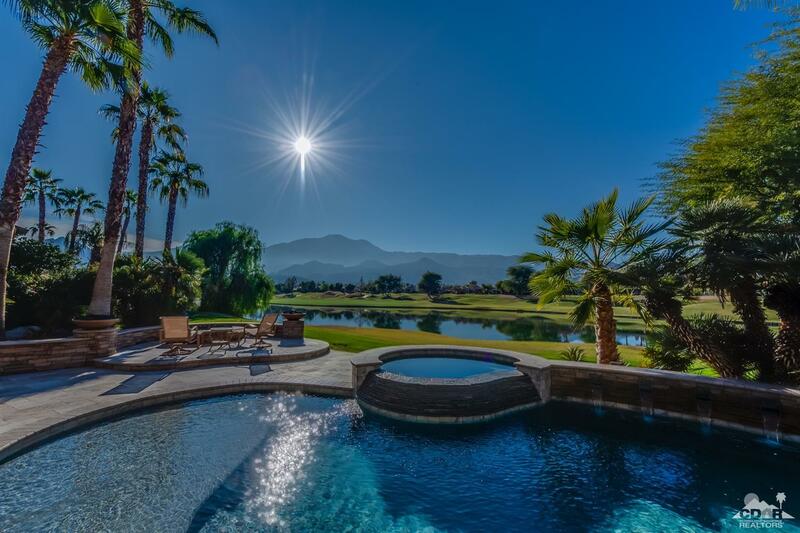 This home is truly breathtaking with fabulous lake, golf & Mountain view's. 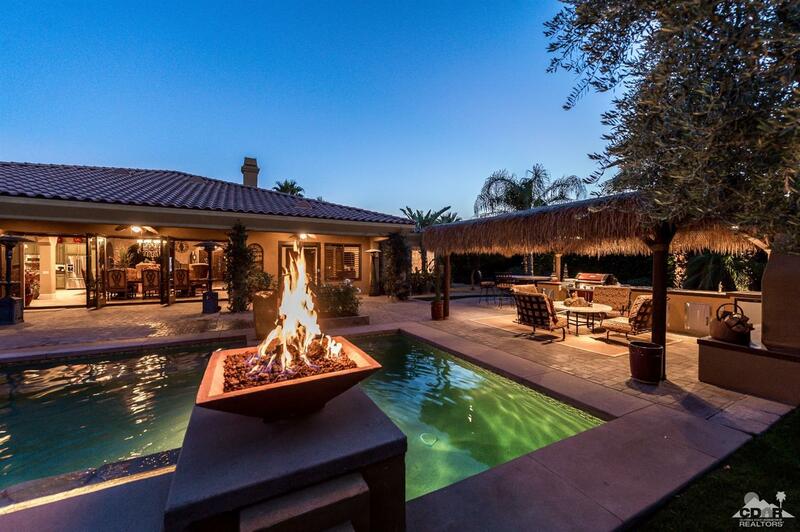 No expense spared with this Master's Series home in PGA West, located on the 14th hole of the Nicklaus Private course. With nearly 5,400 sq. 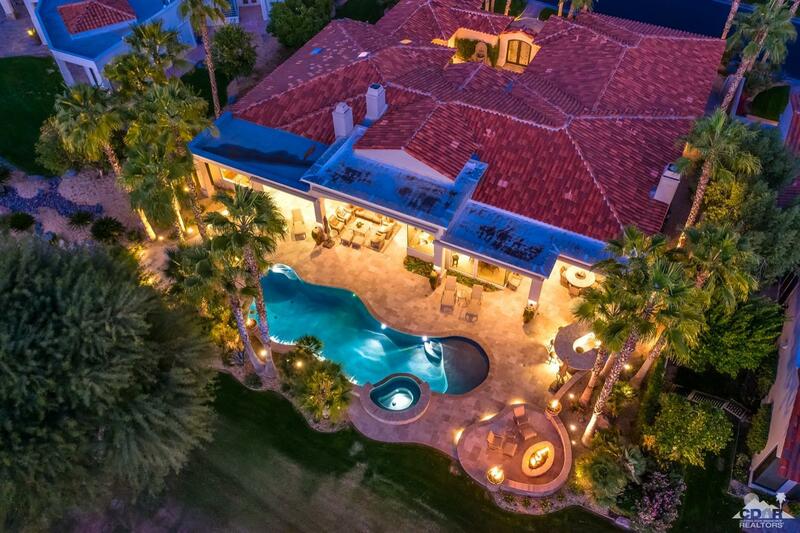 ft., 5 bedrooms & 6 bathrooms, this exquisite home has been redone inside & out with high end finishes & several additions making it one of the most spectacular properties available. With new 24'' diagonally laid travertine, sunken wet bar, a massive kitchen with a double island & gourmet appliances, all complimented by formal living & dining areas. 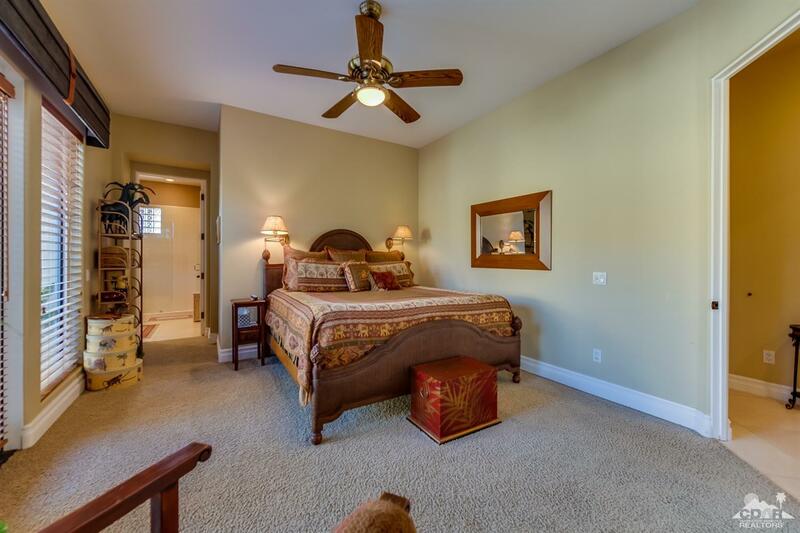 The remodeled Master suite has a fireplace & a new large custom closet. 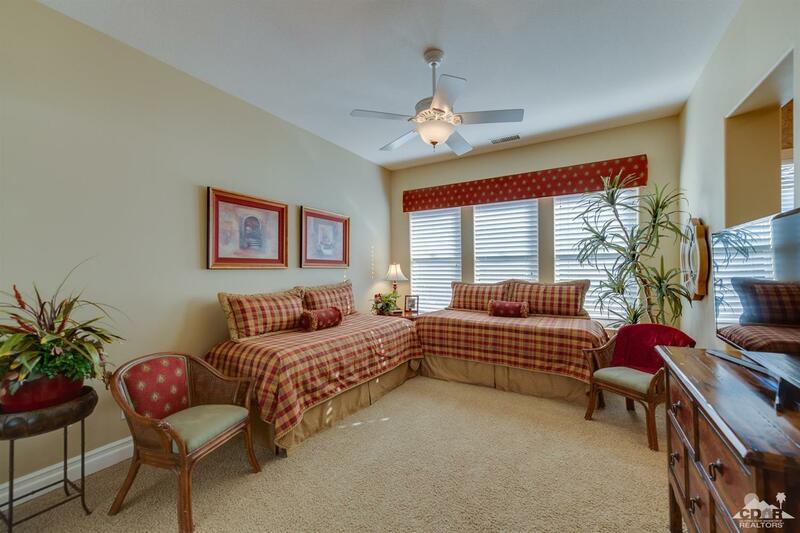 A redesigned & enlarged double bedroom casita consists of two bathrooms & a living area with a kitchen bar. The outdoor living area has just been completed with a new pebble tech pool & spa, tanning shelf, dramatic water features, customizable LED lights, fire pit, fire bowls & seated BBQ area all surrounded by travertine pavers. Offered Furnished.